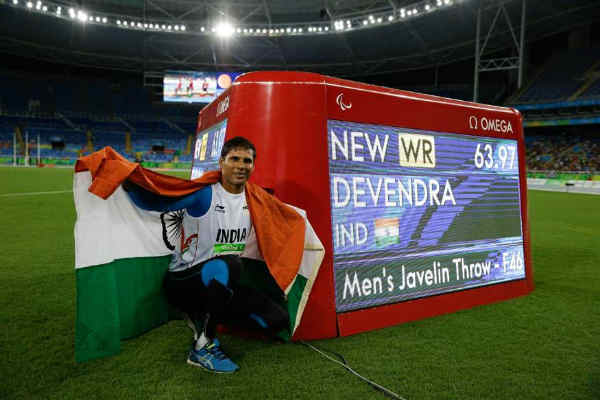 With single-minded focus on his goal to win a gold in the recent Rio Paralympics, the intrepid javelin thrower Devendra Jhajharia became the first Indian to clinch his second gold medal at the highest level. He won his first gold medal in the Athens Paralympics in 2004, where his throw measured 62.15 meters. In Rio, he broke his own record with a throw of 63.97 meters. His courage and never-say-die attitude was evident even when he was a child. Hailing from the Churu district of Rajasthan, Devendra Jhajharia, when he was just eight years old, touched a live electric cable while climbing a tree. His hand, in consequence, had to be amputated. But The Indian was not to be cowed, and when he excelled at the javelin throw on his school sports day, he caught the attention of Dronacharya award winning coach RD Singh, who has coached him ever since then and helped him win Olympic glory. Ganesha analyses Jhajharia's Horoscope and points out that he had solid backing from the Planets, too. In Devendra Jhajharia's chart, Sun is the Atmakaraka and placed with Mars in Taurus which indicates a lot about his courage. He lives with a purpose: “Not to be called weak”. He has strong internal strength to overcome the disappointments, the taunts, the sacrifices, the physical problems and the weight of expectations. The Sun-Mars conjunction signifies his strong determination and the will-power to fix only one goal that is to win gold and nothing less than that. – But, the Moon- Jupiter-Saturn conjunction in Virgo provides him that ability and strength to tackle pressure situations efficiently, says Ganesha. He was chosen as the flag-bearer for India at the Opening Ceremony. He was expected to lead India's campaign and to be a role model for others. The Sun-Jupiter trine signifies his strong sense of responsibility and strength to inspire others with his splendid achievements. Also Read: P. Gopichand: What do the stars have in store for the ‘Dronacharya for many Arjunas’? The conjunction of Venus and Mercury in the 10th House from natal Moon adds strength to his chart and helped him bring glory for himself and for the country. The transiting Jupiter is currently moving over the cluster of planets in Virgo. The “Jupiter Return” phase and transiting Jupiter's aspect on Atmakaraka Sun helped him to win the Gold medals and make India proud with his extraordinary performance in Rio Paralympic Games. Do you want to know when will your stars shine? Have you been on the lookout for proper guidance to end the confusion? Then get the Ask Any Question Report, in which you can ask a question of your choice and get effective solutions.